Do you want to learn to communicate well in Dutch quickly? Your personal online Dutch teacher can guide you to better Dutch, whether you want to improve your general skills, prepare for Dutch examinations or just to improve your speaking or writing skills. Our interactive live classes are equipped to help you improve your Dutch quickly and in a fun way. You can do your lesson in the comfort of your own home, in your own office, in front of your own computer but with a real, live teacher – seven days a week! Pronunciation and grammar will always have a central role in your lessons, as it is essential to learning Dutch. What topics we focus on will depend on the reason why you are learning Dutch and what you want to get out of the course. If you are a beginner, the first lessons will focus on pronunciation primarily, however after that, we will also focus on Dutch grammar, reading & writing in Dutch and Dutch vocabulary. Personalised Dutch tuition allows you to concentrate on language areas of specific interest. The teacher’s full attention is dedicated only to you. Private Dutch lessons may be combined with our group Dutch courses if you want to make even better progress. If you book our Dutch Skype course we offer you online learning for free. How do Dutch Skype lessons work? The same way as a face-to-face private lesson in Eindhoven, however both of us will be sitting in front of a computer. It follows the same structure as a regular tutorial, however you will receive the online lesson material prior to the tutorial. 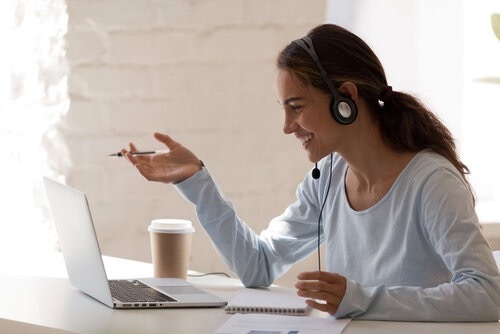 To have Dutch lessons via Skype, you will need a good internet connection, a good quality camera, microphone, a head set and have installed and set up Skype prior to your first tutorial. You can download Skype here. We have a wide range of online hand-outs, audio files and exercises that can be shared with you in a click. You learn a great deal in a short amount of time in our Dutch private course. Afterwards, it is essential to maintain your skills, and of course the best way to do so is to use the language often. We also offer the opportunity to continue practising the language through online learning. Info: Skype lessons for 1 person. Location: online via Skype. How do I enrol in Dutch Skype Course?